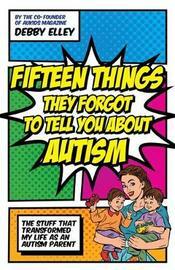 What if the things people need to know about autism is not the information they're getting? 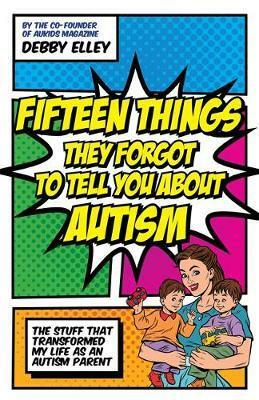 Combining myth-busting advice with personal experience, this book from the mother of autistic twins shares simple strategies to build children's confidence, communication, and independence. From sharing the joy of yodelling around shops at the weekend, to finding creative ways to communicate with both her verbal and her non-verbal sons, Debby Elley gives practical and fun tips for everyday living and shows that being autistic is just another way of being. Both witty and candid, the book discusses labels, meltdowns, acceptance, happiness and much more. Debby Elley is co-founder and co-editor of award-winning AuKids magazine (http://www.aukids.co.uk/), and is mum to twins who are at opposite ends of the autism spectrum. She lives in Cheshire, UK.